Last September, a HDB terrace in Jalan Bahagia changed hands for nearly $1.2 million, making it the priciest HDB unit ever sold at that point in time. The 2,551 sq ft 3-room terrace near Whampoa hit a record price of $1.185 million ($465 psf), smashing the previous $1.18 million record set by a 5-room Bishan DBSS unit sold in February 2017. But already, this record has been matched in January 2019 when a 1,259 sq ft 5-room unit at the DBSS project, City View @ Boon Keng was sold for $1.185 million or $941 psf. Elsewhere, a 1,151 sq ft 5-room unit at The Pinnacle@Duxton fetched $1.148 million ($997 psf) in the same month. 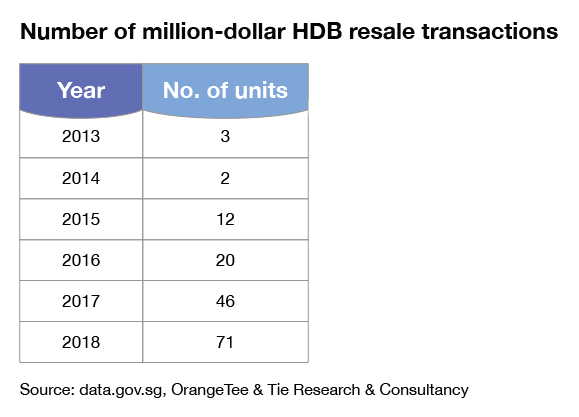 Based on HDB data, there were around 71 transactions involving resale HDB units that breached the million-dollar mark in 2018. This is compared to just 46 of such transactions in 2017, and 20 of such transaction in 2016. 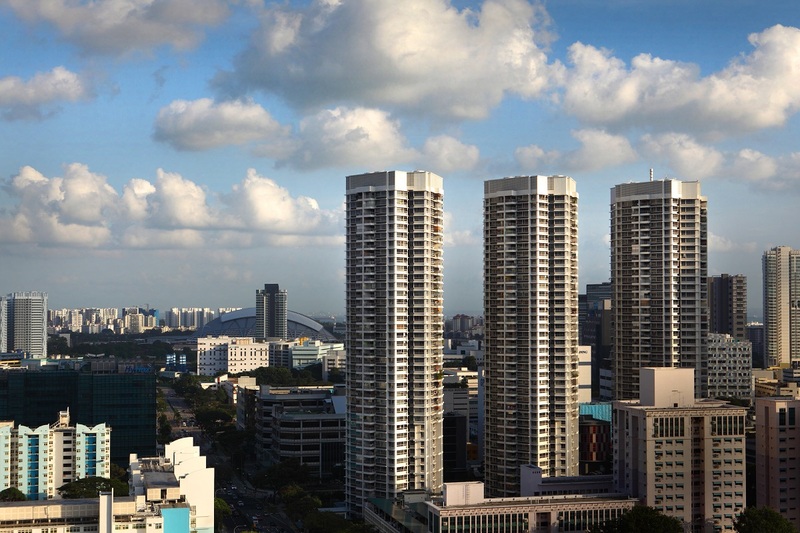 “Resale flats that were sold for $1 million and above reached a record high in 2018, the highest since the year 1990,” says Christine Sun, head of research & consultancy at OrangeTee & Tie. According to Sun, at least 20 of such units were transacted in 4Q2018 despite the year-end holidays, which typically sees slower home sales. She adds that this was higher than the 12 units sold in Q12018 and the 17 units sold in 2Q2018. Based on these trends, we may expect to see more million-dollar HDB resale transactions in 2019, says OrangeTee & Tie’s Sun.